These Monitor Stands Serve as a Place to Display AV Accessories! 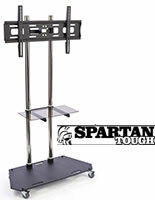 These LCD Holders Are Mobile Furniture Pieces with an Adjustable Shelf! 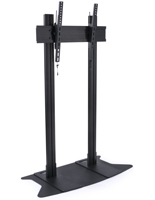 These Monitor Stands Are Ready for Purchase! 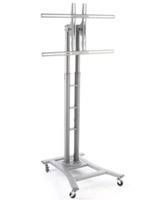 Steel fabrication includes chrome supporting posts for durability. (4) casters are three inches and two of them lock. Shelf adjusts to three different positions for accommodating electronics and other items. 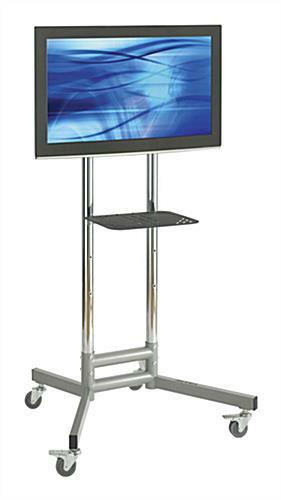 These monitor stands, frequently referred to as LCD displays, have a shelf that is adjustable to accommodate different contents. 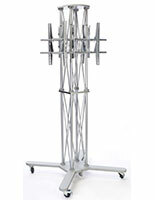 The mobile furniture pieces can raise and lower the television from 61" all the way up 71". 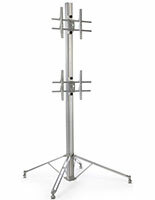 These height adjusting monitor stands have a sleek design that can support a variety of AV accessories. The LCD displays are made out of high quality steel that will withstand the normal wear and tear. 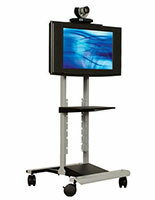 These monitor stands that have a silver and black finish include 3" casters with two locks for convenience. The mobile furniture pieces not only make it easy to use AV accessories, but also have a VESA bracket for accommodating televisions from major manufacturers. 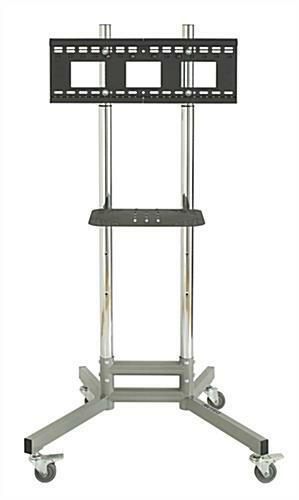 These monitor stands with a shelf is made for 32" to 55" screens. The carts are top choices for many different businesses.